The 1968-1969 Dodge Coronet R/T and Super Bee engine contained various components taken off the 440 Magnum, including cylinder heads and hot camshaft. Instead of bucket seats, the Super Bee came with a vinyl bench, in an interior more reminiscent of a taxicab than a near-luxury traveler. A four-speed was standard; TorqueFlite the option. Both a hardtop coupe and pillared coupe made the Super Bee lineup, the latter with flip-open back windows instead of roll-up glass. Super Bee's Rallye instrument panel came out of the Charger. Hemi engines could be ordered. Something new appeared on Super Bee engines for 1969: a Ramcharger Air Induction System that forced colder, denser outside air through the carburetor, selling for $73 (standard with the Hemi engine.) Gathering even greater publicity was the Super Bee "Six Pack" option, consisting of a trio of two-barrel Holley carburetors feeding a 440-cid V-8, all hidden beneath a pinned-down, flat-black fiberglass hood. Priced at $463 above the $3,138 hardtop base figure, the Six Pack delivered 390 horsepower, along with a brawny 490 pounds/feet of torque. That was sufficient to permit 0-60 mph acceleration times of 6.3 seconds or so. Strangely enough, an ordinary 383-equipped Bee could handle the job in less time: as little as 5.6 seconds as reported by Car and Driver. Nearly all of the 10,849 R/Ts built in 1968 were Magnum-powered; a mere 230 had the Hemi, whose days were numbered. 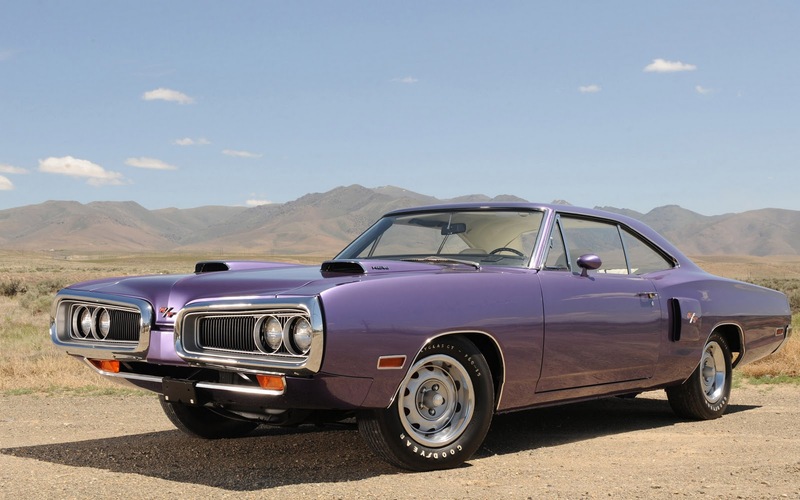 In 1969, fewer than half as many Hemis went under R/T hoods, as production shrunk to 7,238. Price was part of the reason, since the Hemi added $604.75 to an R/T's cost. Super Bee figures tell a similar story. Of the 27,846 built for 1969, only 166 had a Hemi installed. Both the Coronet R/T and Super Bee hung on for one more year. Although overshadowed at the end by Chargers and the winged if seldom-seen Daytonas, the final Coronets proved themselves to be true dual-purpose machines. Serving as subdued family transportation most of the time -- just like their Coronet Deluxe and 440 brethren -- with the proper drivetrain on tap they were also able to turn into Mr. Hyde with a hard slap at the gas pedal. For both traits, they'll be fondly remembered.